Lake Lucerne (German: Vierwaldstättersee, lit. "Lake of the Four Forested Cantons") is a lake in central Switzerland and the fourth largest in the country. The lake has a complicated shape, with bends and arms reaching from the city of Lucerne into the mountains. It has a total area of 114 km² (44 sq mi), an elevation of 434 m (1,424 ft), and a maximum depth of 214 m (702 ft). Its volume is 11.8 km³. 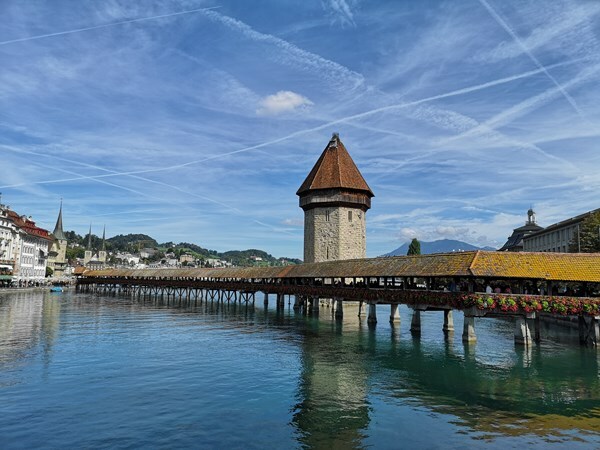 This description uses material from the Wikipedia article on Lake Lucerne and is licensed under the Creative Commons Attribution-ShareAlike License (view authors). 28 people want to do this. One person has done this.